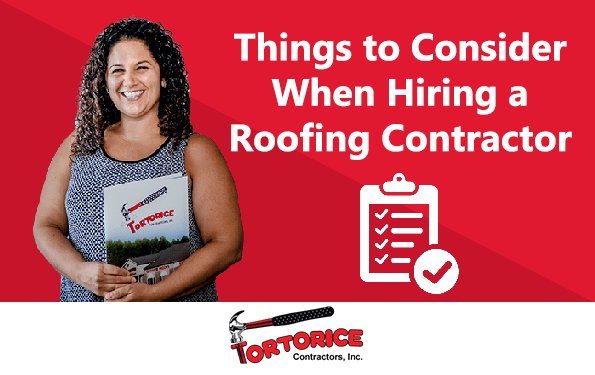 Important Issues To Consider When Hiring a Washington Township Roofing Contractor - Tortorice Contractors Inc. Some roofing companies take longer than others. The length of the project can have a big impact on your business or family. If it is your office building that needs fixing, this could inconvenience customers, stop production, or damage your equipment. If it is your home, a long project can affect your family members. It can be hard for your kids to do homework or for you to do housework if there are roofers constantly going in and out of your property. If you want to hire a professional Washington Township roofing contractor to do the job, consider how long the project will take to help minimize the impact on your business and family life. Generally speaking, the faster the roof it completed the better it is for everyone. When your house’s roof gets damaged during a storm, it is usually your home insurance that will pay for a roofing replacement. This is one of the reasons why your insurance policy has to be updated all the time to cover your needs in case of an emergency. This is also true for any roofing firm in Washington Township that you are considering. You have to ask them to submit the latest copy of their workers’ compensation insurance and liability insurance. This is to minimize any legal action against you should accidents and damage occur while a roofer from Washington Township is working on your property. One of the best ways to know that you’re hiring a reputable roofing firm from Washington Township is by checking with the local Better Business Bureau and Chamber of Commerce. These organizations usually have stringent qualifications before a business can be affiliated with them. Once they have complied and are granted affiliation, they are given a stamp of approval and worthiness. The BBB also assigns ranks to affiliated businesses. Generally speaking, the higher the rank, the more reputable the business. You can look up your choice of a roofing company from Washington Township with your local BBB to see if they are affiliated. When you are hiring the best Washington Township roofing contractor, you need to choose from a group of people to make sure that they are the right people for the job. In this situation, choosing from a group of three is advisable. Hiring a roofer is just like hiring a person to do any other job. You want somebody who is the most qualified to do it. Choosing from this number will allow you to compare the candidate’s qualifications and experience. Three contractors can also give you three different estimates which will allow you to shop for the best materials and price. Is the roofing company from Washington Township returning your phone calls or answering your emails? Are they accessible to you when you have questions or need clarifications? Communication is very important in business. Roofing companies in Washington Township that can communicate often have fewer disputes with their clients because everything is made clear. A representative who knows how to easily explain the process to customers is essential to help minimize any misunderstanding and help clients manage their expectations. Hiring an experienced roofer from Washington Township is a must. Experience is important because it is the best teacher. You do not want somebody working on such an important part of your property who has no idea what they are doing. Experience also brings in skill sets that schools cannot teach because it involves thinking quickly. An experienced Washington Township roofing firm also knows how to work in different conditions with various types of materials and different kinds of property owners. There are many illegitimate roofers masquerading as professionals. While some of them can do a decent job, there are also others who are only out there to scam you. Stay away from these types of roofers and hire a licensed roofing contractor from Washington Township. Licensed companies are registered with the state so they are paying taxes and are required to comply with industry-mandated standards. Therefore, they are less risky to hire compared to fly-by-night operations. Before signing a contract, make sure that the job comes with warranties. Damages to the roof can occur after the work is done and your home insurance might not cover it. Warranties can save you money and headaches if there are problems after the job is completed. A contract between you and a Washington Township roofing company should be a written one. It should also contain any verbal promises as well as details of the job and the duration of the project. Be sure to consider these things when you are replacing your roof due to natural causes or wear and tear. These things can help you determine who the best roofing contractor from Washington Township for the job is. Copyright 2016 Tortorice Contractors, Inc.